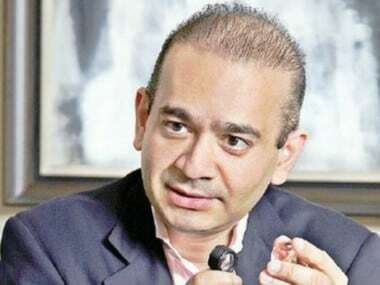 New Delhi: India has received a reply from Britain in response to a "diffusion notice" issued against Nirav Modi, who is accused in the Rs 13,500 crore Punjab National Bank (PNB) loan fraud case being investigated in New Delhi but it remained unclear whether it contained any reference to the specific location of the fugitive diamantaire. 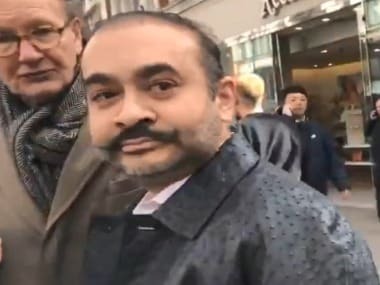 Sources said the British reply came in an email to the Central Bureau of Investigation (CBI) which is investigating the case of fraud against Nirav Modi since January and it had issued the diffusion notice in February against the billionaire, his wife Ami, a US citizen, brother Nishal, a Belgium national, and uncle Mehul Choksi, promoter of Gitanjali Group, for locating their whereabouts. A diffusion notice is issued directly by an international entity to the countries of their choice to take their help in identifying location, physical description, photograph and fingerprints of an accused wanted in offence with which he or she is charged. The notice is issued through the Interpol, an International criminal police organization that facilitates international police cooperation. After getting the diffusion notice issued through the Interpol channel on 15 February, the CBI proactively pursued it with the NCBs (National Central Bureau) of individual countries likely to be visited by the accused fugitives reiterating the confirmation of their locations. The UK has shared certain details of moments of the fugitives, the sources said requesting anonymity. They said "the details received from Britain authorities in response to the diffusion notice have been shared with other sister agencies in foreign countries". Further investigation and action in this regard is in progress," they said. But the sources did not throw any light on whether the British communication talked about the presence of the fugitives in that country. The CBI on Monday said it had moved Interpol to issue Red Corner Notices (RCN) against absconding Nirav Modi and his uncle Choksi. The RCNs were issued to help track Nirav Modi and Choksi and return them to India through official channels to face trial in the bank scam case in which the CBI recently filed two chargesheets. Letters Rogatory (LRs) in the cases lodged against Nirav by the Enforcement Directorate (ED), the CBI and the Income Tax Department were sent to the UK Central Authority (UKCA) on 19 March, 14 April and 15 April respectively. The UKCA has forwarded these LRs to the Serious Fraud Office (SFO) for execution and conveyed that action would be taken on implementation of the Enforcement Directorate LR. The ED and SFO have started discussing the way forward, officials said. 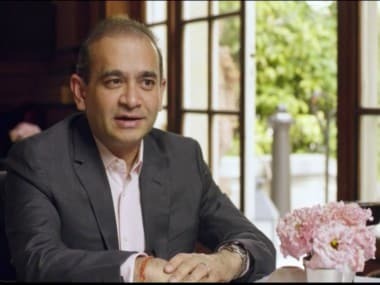 In its chargesheets filed last month, the CBI alleged that Nirav Modi, through his companies, siphoned off funds to the tune of Rs 6,498.20 crore using fraudulent LoUs issued from PNB's Brady House branch in Mumbai. 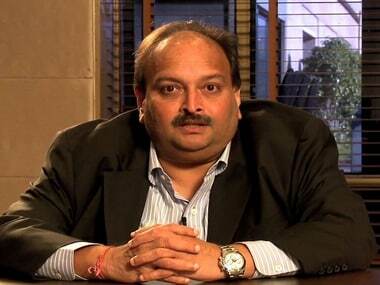 Choksi swindled Rs 7,080.86 crore, making it possibly the biggest banking scam in the country, it alleged. An additional loan default of over Rs 5,000 crore by Choksi's companies is also a matter of probe under the CBI. It is alleged that Nirav Modi and Choksi, through their companies, availed credit from overseas branches of Indian banks using fraudulent guarantees of the PNB given through LoUs and letters of credit which were not repaid, bringing the liability on the state-run bank, the officials said.